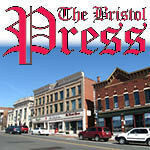 Library Board, 6:30 p.m., Bristol Public Library, Meeting Room 1, 5 High St. Cemetery Commission, 5:30 p.m., Bristol Historical Society, 98 Summer St.
Joint Board Meeting, 6:45 p.m., City Hall, Council Chambers, 111 N. Main St.
City Council, 7 p.m., City Hall, Council Chambers, 111 N. Main St.
Commission for Persons with Disabilities, 7 p.m., City Hall, Second Floor Staff Lounge, 111 N. Main St.
Zoning Commission, 7 p.m., City Hall, City Council Chambers, 111 N. Main St.
Board of Education, 7 p.m., Board of Education Auditorium, 129 Church St.
Retirement Board Regular Meeting, 5 p.m., City Hall, City Council Chambers, 111 N. Main St.
Committee on Aging, noon, Plainville Senior Center, 200 East St.
Board of Education, 7 p.m., Terryville High School Cafeteria, 33 North Harwinton Ave., Terryville. Posted in The Bristol Press, Bristol, Plainville, Plymouth, Southington Herald, Terryville on Sunday, 9 September 2018 21:37. Updated: Sunday, 9 September 2018 21:39.